Bartholomew died this afternoon, January 1, at one o'clock. He was 13 years old, and his previously outstanding health had been in precipitous decline for several months. 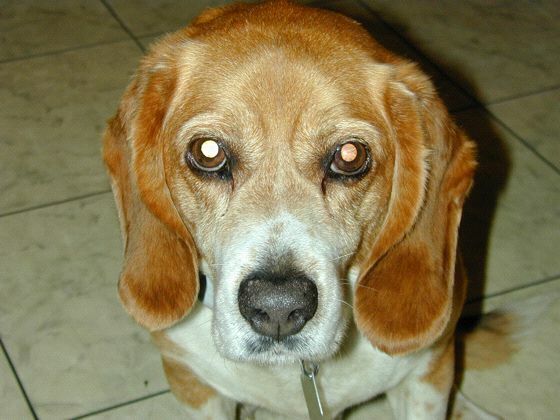 I was 15 when my father and two sisters, along with my stepmom Marlene, came home with a tiny, perfectly lovable beagle. At that time I spent most of my energy trying to avoid family activities, and though I'm sure I rudely declined to participate in picking out the pup, I was still given the duty of choosing his name. I picked Bartholomew, after The 500 Hats of Bartholomew Cubbins. By giving me that responsibility, dad was making the dog mine too, and I was unwittingly invested and thus attached. I didn't realize until much later how bringing home a puppy and giving me a stake in it was perhaps an attempt to bring me closer to a broken family I was running away from as fast as I could. Bartholomew was an outrageously adorable puppy, my first and one of my few encounters with living beauty uncontaminated by lust. 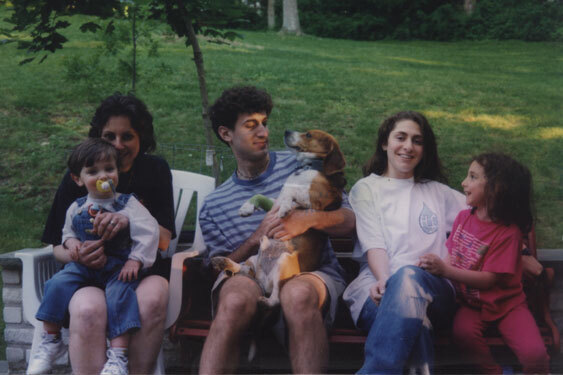 During his first weeks as part of the Strayer family, he was confined to a tiny space in the corner of the kitchen at night, and he wailed and wailed loneliness when we went to bed. 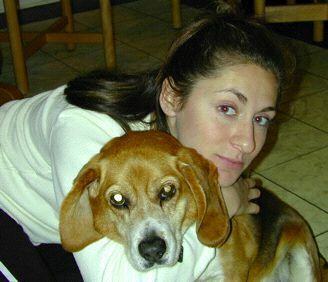 We were forbidden to respond, and I remember my sister Rachel, nine, crying hysterically, screaming at my dad that this was dog abuse, that she was going to call the police on him if he wouldn't let her sleep in the kitchen with Bartholomew. The dog was never allowed into the bedroom area of the house, and I always thought this a cruel and stupid rule, like all the pointless, stupid rules my father imposed on me just for the sake of imposing rules. I haven't yet decided if Bartholomew or I benefited from his heavy hand. Bartholomew, for all his virtues as a companion, was something less than fearless. Any loud noise sent him scrambling for shelter, and he hid from strangers. One time my friend Jon brought over his baby terrier, Tica, who was at the time about the size of a softball. She chased Bartholomew, five times her weight, around our yard, as he yelped for his life, until we separated them. Dad sometimes referred to Bartholomew as our "guard dog." My father and Bartholomew left Houston for Philadelphia with Marlene and my two sisters in 1992; shortly after I had a new half-sister Michelle followed by a half-brother Josh. Bartholomew was really their dog. Rachel ran with him every day during her middle and high school years and when she came home from college, until just recently, when she called me shaken - Bartholomew couldn't keep up with her anymore. It really hurts that Bartholomew is getting old, she said, what am I going to do when we have to put mom in a nursing home? Josh and Michelle have never lived without Bartholomew, and think of him more as a sibling than a pet. Dad just told me that Josh hasn't left his room and has been crying all day, and that Michelle has twice tried to comfort him but came out of his room crying, running to Marlene, who then also started crying. Neither my father nor I have cried, don't get any ideas. Someone has to show some strength around here. 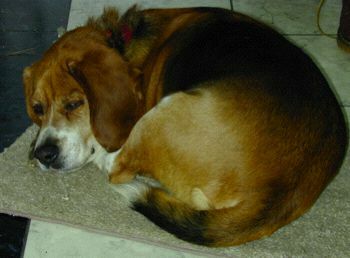 I have not lived with Bartholomew since my father left Texas, but on every visit he would come bounding from around the house at top speed to greet me, tail wagging ferociously, licking my feet and shins while moaning until I would reach down and pet him. He would lean up against me, close his eyes, and wimper the hope that I wouldn't stop scratching his neck and snout. On my last visit, just last month for thanksgiving, he seemed to barely recognize me, however. Everyone had been telling me that Bartholomew hadn't been himself lately, that he was breaking all the house rules unknowingly, having trouble making it up stairs, walking, and even rising from rest. 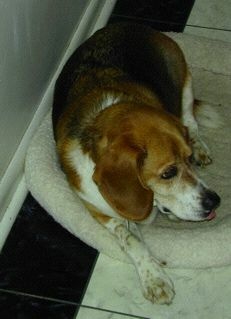 The vet had recently diagnosed him with heart failure and put him on a diuretic. His left eye was blind with a cataract, and his right eye was now beginning to fail. In the past few weeks his breathing had become noisy and labored, and though he still answered to his name, he moved toward you slowly and deliberately, his characteristic floor-sweeping tail wag diminished to a winded gesture. Last week he started wailing at night, when everyone went to bed. He stopped eating yesterday, and hadn't moved from his room since Tuesday. Marlene scheduled an appointment with the veterinarian for tomorrow morning. Around 12:30 this afternoon Marlene found that he had urinated in his bed and that he was breathing rapid, short breaths. She sat down next to him and stroked his beautiful brown coat; Bartholomew stopped breathing a few minutes later.